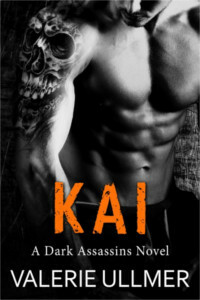 I’d like to welcome the amazing Valerie Ullmer to my blog with her Dark Assassins Series. I’ve started the first one and am had a hard time putting it down to get my work done. 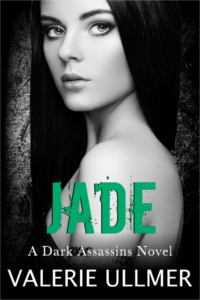 Take a look and I’m sure you’ll find one of the heroes and heroines that will hook you. Or do what I did… pick them ALL! Hunter is consummate professional. After he was turned into a black panther in 1921, he was recruited by Ghost to become an assassin. He trains new recruits and he helps Liv in the lab as she investigates the origins behind immortality. Although some of them had found their mate, Hunter didn’t truly believe he had one. Until he met Neri. Neri doesn’t remember anything beyond the four years she’s lived on her own after escaping from the same lab where Liv worked. She has created a successful business designing and creating wood furniture. She’s a loner who prefers not to interact with a lot of people, but that all changes when she meets Hunter and she’s introduced to the assassins. I think every time you write a book, it’s a completely different experience from the one before it, even if you’re writing a series. The more you write, the more you get a feel for where the story is heading, how to structure your novel in a way that’s natural, and then the story takes you where the characters want it to go. 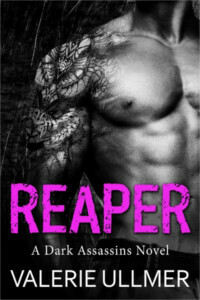 For this particular book, the fifth in the series, I learned that for my paranormal romance, I can’t outline. Don’t get me wrong, I have a pile of notes that reference everything that happened in the series, names, dates, scents, eye color, etc., but for the life of me, I can’t outline the book. I become a pantser instead of a plotter. It only took me five books and a novel to understand this concept.